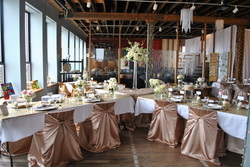 ﻿Looking for a space to hold your special event? Art in the Loft may be just what you are looking for! Whether it is your wedding day, a retirement party or just a gathering of long lost friends. Art in the Loft provides a wonderful space and atmosphere that may be just what you want.